We teach our children the Principles and Values of Free Individuals in a Free Society. Although at times we may fail, we work tirelessly to be men and women of Integrity, Self-discipline, Proactivity, Humility and Empathy. We believe in the Principle of Human Freedom to ensure we sustain our Free Society. We believe in the Principle of Universal Harmony so we sustain our Families by living in "synch" with the earth and our universe. 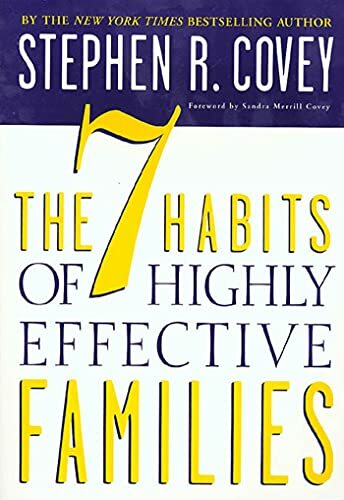 Visit our Shopping Mall to buy a copy of 7 Habits of Highly Effective People and 7 Habits of Highly Effective Families. A balanced life is essential to happiness. The development of the body, mind and spirit must get attention each day of our lives. If we set aside the time for work, for play, for personal thought or religious devotion, as our individual choice may be, we will experience balance in our lives. Balance implies equilibrium where there is just the right amount of everything in our lives to enable us to thrive. Each of us has a uniqueness that is our own. The balance, therefore, in each of us is unique and must be discovered. The balance changes as we grow and it never stops changing. We all need a process of personal renewal that is continuous to accommodate this change. 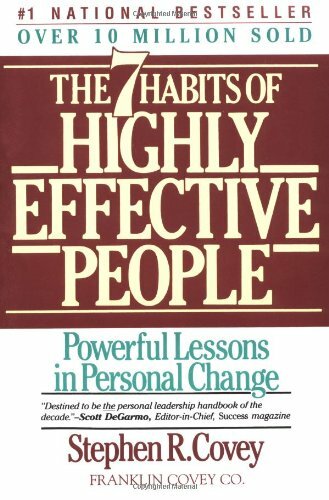 Stephen Covey has written 2 books, that when taken together, offer a process of personal development around a consistent ethical base. These books offer a cornerstone for the individual and the family upon which to grow. What Messages Do We Send Our Children? As our children grow within our Families they formulate their Principles, Values and expectations of life. There are certain Natural Principles that have been built into our Founding Documents. What about life should we teach our children? What makes them good people and what makes them good citizens? What are the American Family Values we teach our children? Now here is a good question: "What is the difference between a Principle and a Value?" This has many answers depending upon who you ask. From the World Book Dictionary, a Value is an established ideal of life, objects, customs, ways of acting, and the like, that the members of a given society regard as desirable1. Again, from the World Book Dictionary, a Principle is a fundamental belief, a rule of action or conduct, a truth that is a foundation for other truths; fundamental, primary, or general truth1. In simple terms, Values are the building blocks of Principles, while Principles show how Values are related to each other. Examples of Values might be: 1. Life, 2. Liberty and 3. the Pursuit of Happiness. An example of a Principle might be: 1. Human Beings have an inherent right to Life, Liberty and the Pursuit of Happiness. The line is thin here, and not all would agree with these definitions. What are the Values held true by a Free Individual in a Free Society? What Values equip a person to function well in a Free Society? A person who lives the Values that permit them to thrive in a Free Society would be called a good person. Fundamentally, Human Beings expect to be treated fairly. To be fair we must be honest, forthright and sincere with others. This is called Integrity. It means we keep our word; "you can take it to the bank". "Our word is our bond." This is why our Credit Rating is important, it is an "objective" measure of how well we keep our promises in modern society. Remember The Golden Rule: "Do unto others as you would have them do unto you." Human Beings are able to choose; unlike animals and plants who merely react to external stimulus. When we choose we are accepting the consequences of our choices. We must have Self-discipline to choose wisely and grow responsibly. As Free Individuals we must accept responsibility for the consequences of our choices if we are to remain free to choose. Going about life each day requires us to know where we are and know where we are headed. We are each "Captain of our own ship". Freedom of choice enables us to exercise Proactivity, to go after our goals and visions. We must each take responsibility for our lives and control our own destiny. A Free Society provides the best opportunity to make our dreams come true. Communication between Free Individuals requires us to give each other a chance. Giving each other a chance requires one Free Individual to understand and have Empathy for another where we "put ourselves in the other's shoes". Their is an old Native American saying: "Do not judge another until you have walked 20 miles in their moccasins". Interaction with other Human Beings requires us to understand the relationship of one Free Individual to another. As we exercise Humility we demonstrate this knowledge. We understand the worth of each Free Individual, including ourselves, in our Free Society. Coexistence with Free Individuals requires that we respect each other and treat each other with dignity until a Free Individual proves through their actions and words that they are unworthy. The two Universal Principles are the Principle of Human Freedom and the Principle of Universal Harmony. These powerful statements of principle relate those things in life that are of value in a way that will ensure Free Individuals thrive with each other while sustaining a place in the Universe without destroying it. So how does the above philosophy translate into daily life? In short it means that we take responsibility for our total circumstances: our state in life and our relationships with family and friends. We do not point the finger of blame at others for who we are, where we live, where we work or where we play. The fault is our own for all that we have that is good, bad or ugly. It is our responsibility to change things if we are dissatisfied. 1 World Book 2001 Dictionary. © 2000 World Book Inc. Electronic version by IVD Communications, Inc.